Brian and Steve have been working together for many years to create rifles and bullets that would provide them a better overall hunting experience. In 2012 they formed HD Custom Rifles & Ammo in an effort to work in an industry they love, creating jobs that felt like play, and developing products that would benefit themselves as well as other hunting and shooting enthusiasts. Initially they looked at creating superior rifles – rifles built using a custom barrel design coupled with high-performance components and put together by a well-known Montana gunsmith. Their first prototype, built in 2008, was a fun project and learning experience for both men; at a whopping 17 lbs, it is too heavy to be a realistic option for hunting, but they still have fun shooting it occasionally. After redesigning and several more custom builds, they realized that even the best-built rifle would not consistently meet their high standards of accuracy and performance without a better bullet. The dream of bringing a custom rifle to market is not dead, but has been on the back burner over the past couple of years as they focused on developing that bullet. Despite both Brian and Steve having full-time jobs and families, they committed themselves to developing a product that will perform consistently to their expectations. The culmination of their efforts was realized in June of 2015 when they were granted a US PATENT number 29/529,124 for their bullet design. That product is available on the market as Hammer Bullets. Brian was born and raised in central Missouri — the 2nd of 8 children – on a working family farm. Growing up in the 70s-80s on a pork and cattle farm in the mid-west Brian learned that hard work, faith, honesty and frugality were simply a way of life. From the time he can remember, life included a lot of work, sports, hunting and fishing. In high school, in addition to helping on the farm, he worked full-time during the summers on a construction crew. Brian attended college earning a technical degree in civil engineering; but his true passion remained in the outdoors–hunting and fishing. In 2002, Brian and his family relocated to northwestern Montana and his interest in hunting and reloading quickly took over his life. 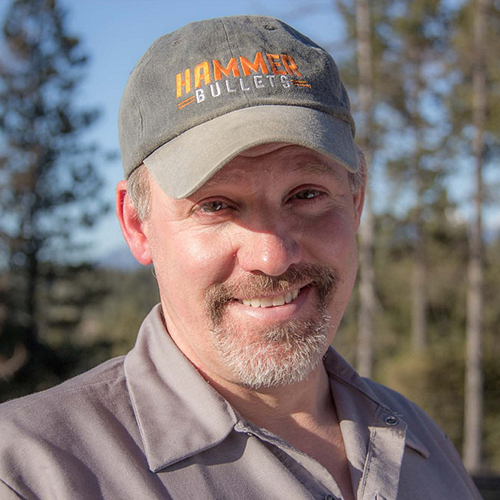 Despite a busy family life with his wife and two young children, an active role at church and owning/operating a finish-carpentry business, Brian still makes time to hunt or shoot almost year-round. 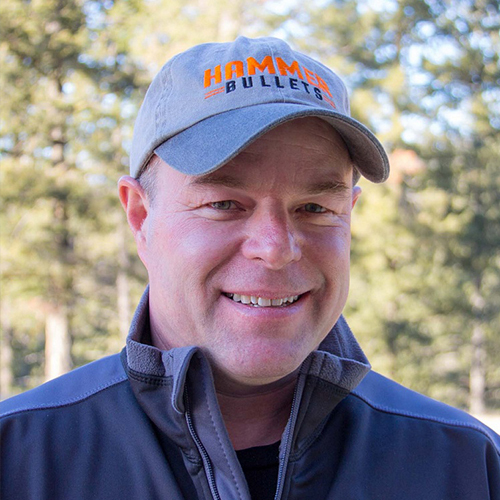 A big part of his passion with hunting, especially with long shots often required in the wide-open spaces of Montana, has become bullet performance: long-range accuracy with minimal game waste. For over two years Brian’s focus, along with friend Steve Davis, has been developing, patenting, and manufacturing a bullet that consistently out-performs anything else on the market. Literally hundreds and hundreds of hours have been spent designing, testing, and revising a product that is simply better … Hammer Bullets. Steve has lived his whole life in Montana – he attended high school in Stevensville, MT where he played football and wrestled. Steve spent his summers working on the family cattle ranch and spending time with his family going on pack trips into the Bob Marshal Wilderness area. Growing up hunting and fishing with his father is where he learned his passion for the outdoors. Steve has a beautiful wife and together they raised three children who also share the same passion for Montana and the great outdoors. Steve also has a passion for kids and coaches middle school football as well as high school and middle school wrestling. Steve spent much of his time as an avid archery hunter and competitive shooter. His background in competitive archery found its way into long range rifle shooting. That is where Steve began his quest for a better quality bullet. Over 15 years of searching for the “perfect bullet”, the search finally culminated in producing Hammer Bullets. 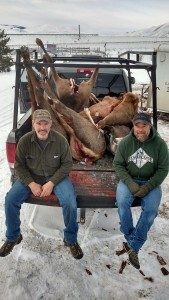 A dream of living in Montana and working in an industry involved in his passion for hunting and the outdoors has come together.